Jordan Steele (The Judge) has been hired as a bodyguard for Jessica Winters, Slammer's new step-daughter. Security is usually not his thing, but he finds himself unable to refuse the offer after meeting her in person. 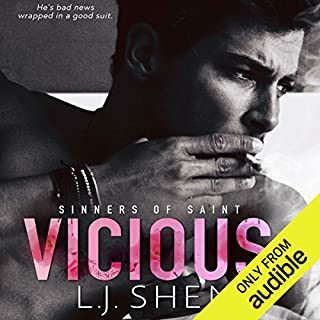 Jessica Winters wants nothing to do with The Judge, or any other biker for that matter, especially after being raped by one of the Devil's Rangers three years before. When she learns that her life is in imminent danger, however, she reluctantly agrees and finds herself in the care of a man who makes her tremble in more ways than one. This book is intended for listeners ages 18 or older due to explicit language, sexual situations, and violence. This is a work of fiction and is not meant to be a true depiction of a motorcycle club. It was written for entertainment only. 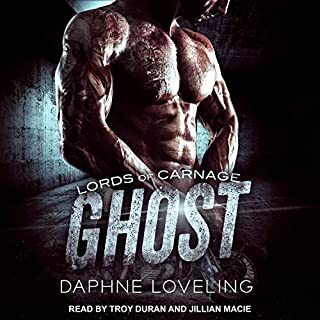 It can be heard as a standalone but will be more enjoyable if you first listen to the previous two books in the series (to learn more about the characters). Fearing the Biker is the third book in the series and it focuses on the developing relationship between Jessica and Jordan. Jessica is a nurse who was raped by a biker in the very first chapter of the first book. The guilty biker was evil as they come. After that we learn nothing more about her yet we learn quite a bit about the biker who gets his just desserts. 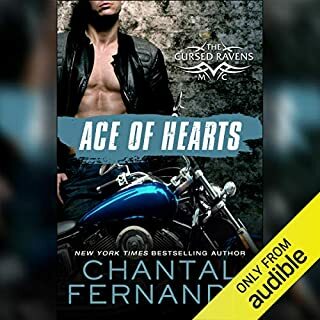 In book 3 we get to know her and she isn’t into the biker life at all but when her life is at stake she’s thrust into it and falls for Jordan better known as Judge. The story flows quick moving from one action filled scene to the next. As a reader or listener I love that because it holds my attention. There are enough details to give a picture of what’s happening without bogging down the story. The author holds nothing back including language and explicit scenes. It’s not for younger readers but for adults and is very entertaining. The story didn’t disappoint. The only thing that threw me was the switch to a different narrator. 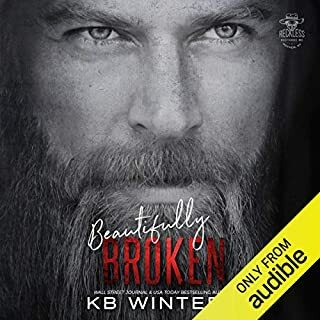 From an author’s perspective it makes perfect sense because the story centers around two new individuals as a listener it took me several chapters to get into the new narrator. No complaints, she did a great job. Okay, so first I'd like to state the only rating you can really go by with my review is the performance...I didn't make it enough into the book to rate the rest. I haven't listened to the other books in the series, this was my first and last. Honestly, I'm very interested in the story so I think I'll just buy the book and read it the old fashioned way. I feel, even though the narrator wasn't bad, her voice only fit the lead male when he was a little boy and obviously the woman. Nikki Diamond voicing the lead male as a grown man was cringe worthy. She made a grown man have the voice of a teen who hasn't hit puberty. For that reason I couldn't finish this book, I couldn't get past chapter 4. I thought this book was overall pretty good. Just hoped the ending would have been better. Or at least a little more detailed. Dang, this book was disappointing; especially the Heroine. If she asked one more question I would have screamed. She acts like a 15 yr old instead of a 24 yr old. She meets this mentally stunted man that is a contract killer and was a-seriously abused child and she badgers him with deeply personal questions; in the first 36 hours of their acquaintance. Why not? She falls in love with him and informs him of this in 48 hrs. Then she gets pissed when he runs away from her. Hell yeah, obviously this girl is a whacked out stocker. No worries though, Within the week, he comes to her and admits he is in love with her too. Come on, I know romance has a lot of insta-love but a H/h who are bother abuse victims with serious emotional illness. Be for real. Just skip this book, unless you are feeling your zen and have an abundance of patience. Voice performance of Mickey diamond was horrible. So badd show so badd it was hard for me to get in to the book at all. It would sell for that the male voices sounded like a woman trying to sound like a map. Heard nothing of voices sounded like Minnie mouse while the male voices sounded like Mickey mouse. I would comment on the story but I would have to physically read it to do so since I can't get the hi pitched voices of the Male characters out of my mind. I liked this one better than the 2nd one. Since I listened back-to-back the narrator switch threw me, but I adjusted. I enjoyed the two other stories, but they just seem to fall short in the end. This one really fell short for me. Not a good ending in my opinion. Should have at least had an epilogue.